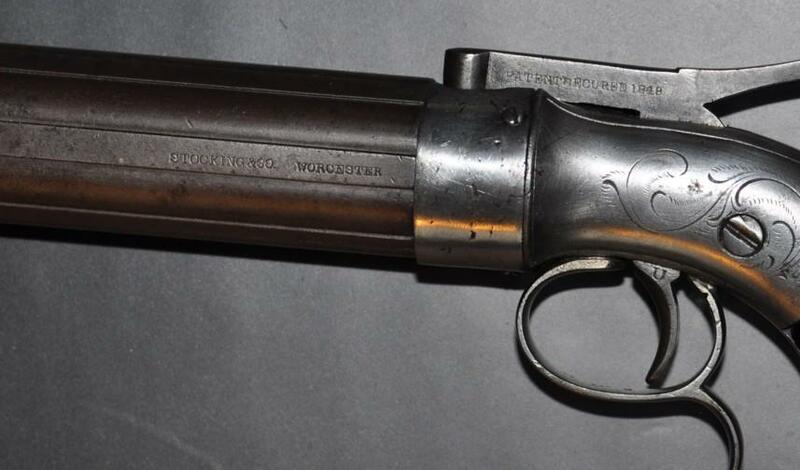 American pepperbox with single action, recognizable with the long (and extremely practical) peak of the hammer. Manufactured by the company Stocking Co in Worchester in Massachusetts, between the end of 1840 and the beginning of the years 1850, with a number of specimens unknown but probably relatively low. 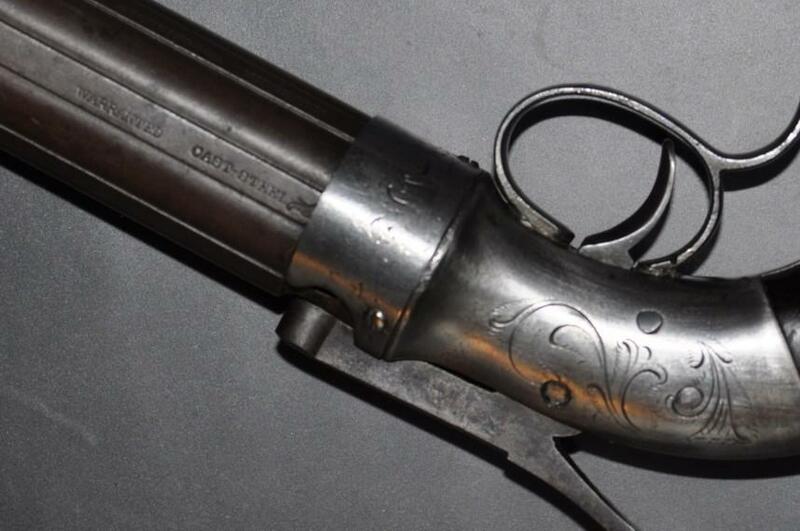 Like the others, this pepperbox was finally replaced by the revolver. Available in the usual calibre of .28 and .31, with 6 shots. The length of the barrels can vary from 4 to 6 inches. The iron carcass and the circular shield protecting the chimneys are always decorated with a simple manual engraving with volutes. Handles of stick in walnut current quality, blue completion. The chimneys are normally integral. 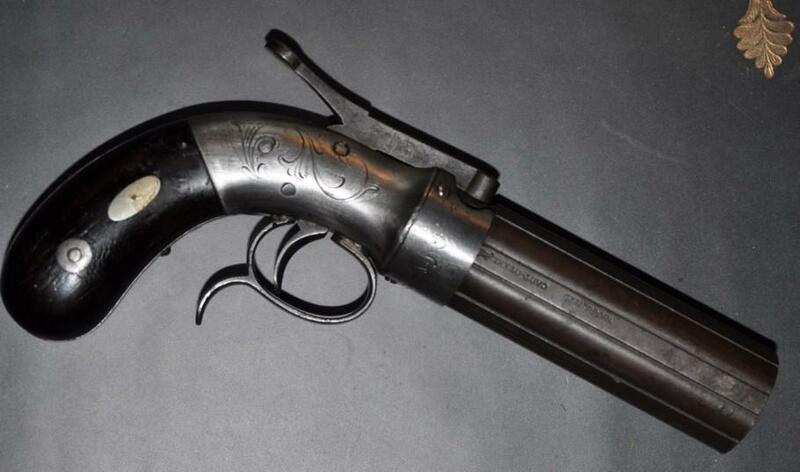 The trigger guard either round, or is equipped with a not very practical rest-finger because too placed far behind. There is a rare alternative manufactured of origin without shield of protection of the chimneys. There is also a rare alternative comprising of the chimneys that one can unscrew. 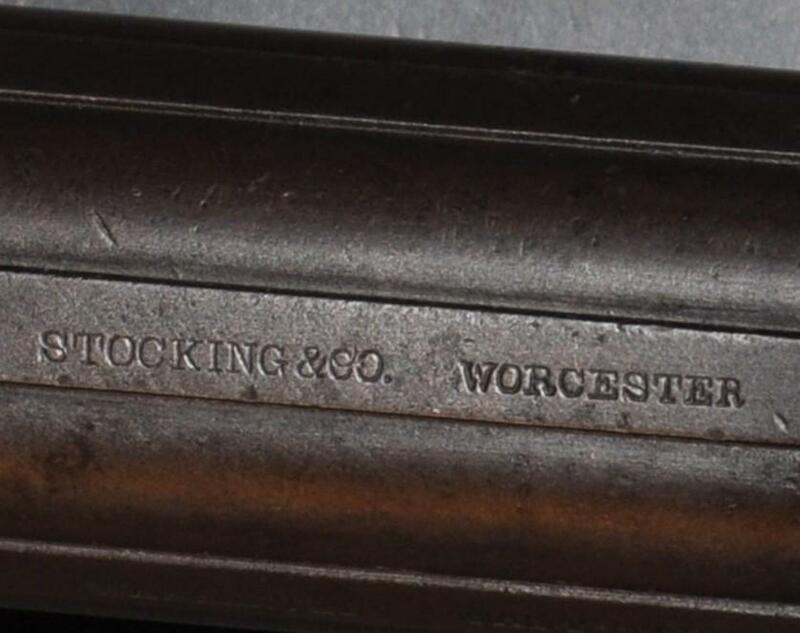 Barrels: STOCKING & CO, WORCESTER and CAST STEEL WARRANTED (guaranteed hammered Steel), often accompanied by a punch representing a head of eagle. This punch is a proof of the passage the weapon proof to the proofhouse (private) of the company. 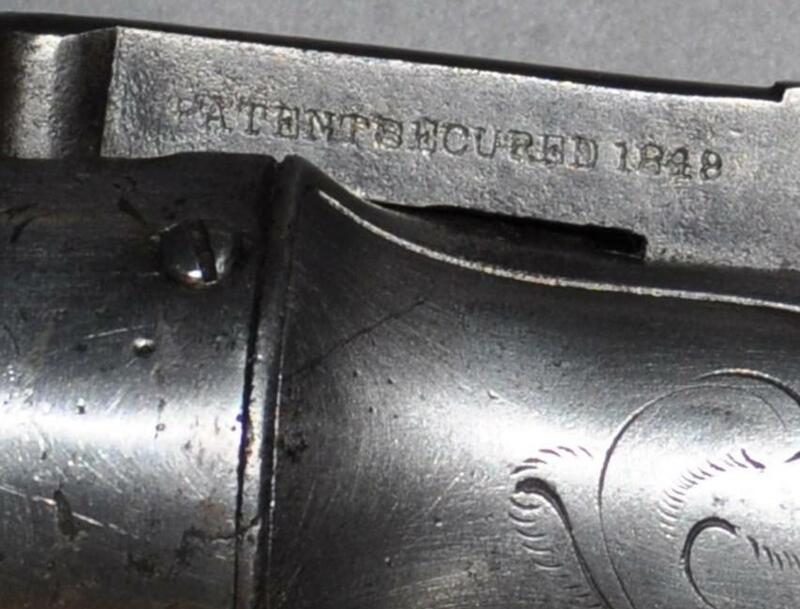 The hammer is often marked “PATENT SECURED 1848”. Here about all that I then in saying. It is nowadays very rare, one meets of it very little in the world collection, and it’s expensive.